Will Housh as child participates in a groundbreaking for the family business that included his father, left, and grandfather. “If it’s not broke, why fix it?” is the response I often encountered as I pivoted my approach to running a heating services business. The three-generation family firm might not have been broken at the moment I made the changes, but the odds certainly were against it. In fact, the odds are against most family businesses surviving. This is a big problem, considering the fact that 80 percent of all businesses, particularly small businesses, are family owned and operated. But only 30 percent of these businesses are successfully passed on to a second generation -- and by the third generation, only 12 percent are left standing. I ended up selling the family business and creating a new ecommerce business. My grandfather, William “Bill” McKinley Housh II, chose to stay in Monroe, Ohio, after marrying his high school sweetheart, Lenora. In 1954 he borrowed $500 and started a family heating, ventilation and air conditioning company in his garage, calling it Monroe Heating. (Bill was named after his father, William McKinley Housh, who was named for the U.S. president from Ohio.) My grandmother answered the phone, did the bookkeeping and ran the office while raising four boys. In time, the youngest of the four sons -- my father, William McKinley Housh III -- stayed in the family business, eventually buying the company in the mid-1980s; it evolved from a small residential heating, ventilation and air conditioning (HVAC) firm into a larger mostly commercial heating contracting enterprise. I, too, grew up in the family business (How could I not? My name is William “Will” McKinley Housh IV) and ended up buying the company in 2008. Already two years earlier, I had begun working nights and weekends -- apart from my day job at Monroe Heating -- to found Housh Inc., an ecommerce business offering air filters, humidifiers, furnaces and other HVAC-related products to customers all over the country. By 2012, I sold the original family heating business to focus 100 percent on the new ecommerce enterprise and expanded the number of heating and air conditioning products from what the original firm had offered. The old family business is still operating. I used some of the proceeds from the old business to accelerate the growth of Housh Inc. Some employees moved to the ecommerce business. But for the most part, the new business was built separately. Family businesses can be notoriously hard to pivot. Roles and business plans become set in stone, and no one wants anything to change. Yet, change, is inevitable -- especially with digital interactions entering all aspects of society. 1. Look at the bigger picture. Take a step back and examine what's happening at a macro level in the industry. Are other players embracing ecommerce, social media or big data? Be tuned into customers' ever-shifting demands and buying behaviors. Explore new tools such as big data analytics, ecommerce or online customer service to run the company more effectively and improve the customer experience. In my company's case, even though the business was generating sales of more than $12 million in a good year, I wondered how sustainable a mom-and-pop shop could be in the digital age. The industry was shifting to ecommerce, connecting people with local contractors, providing variety and offering low prices. 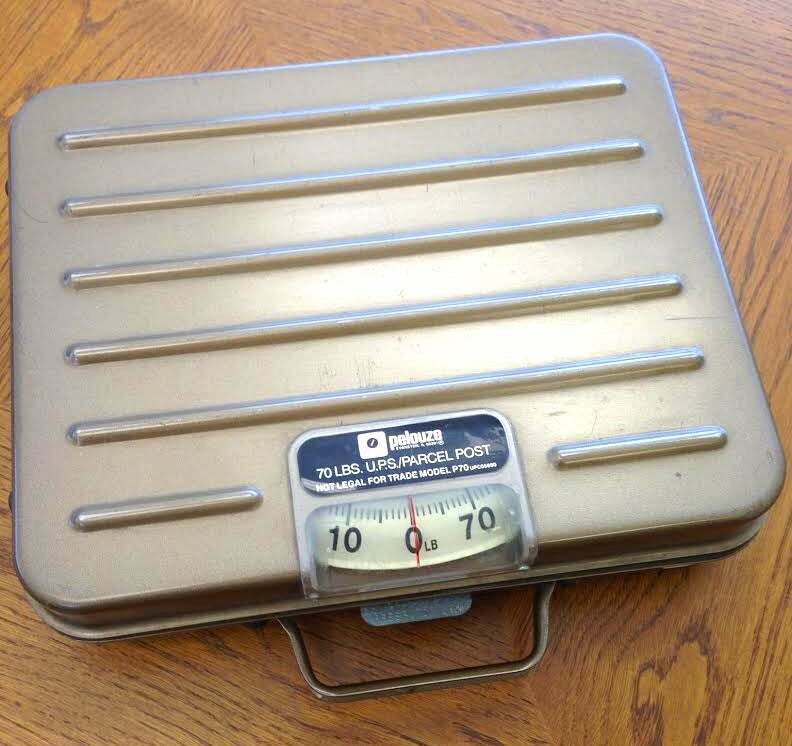 When he first started, Will used a scale that's been in the family for generations to weigh packages for shipping -- and still uses it today. I asked, Was it possible to build a simple website with a wide range of products to help customers maintain and improve their home and business environments? Could there be a way to simplify the buying process for consumers looking for heating and air-conditioning products, while also connecting contractors with potential customers? Taking the company's mission statement (focused on integrity, family and innovation), I applied it to the world of ecommerce. I gradually shifted from providing traditional HVAC service business into offering HVAC.com. The effort was initially supported by the traditional business; the original heating business served as an “incubator." We apportioned a small part of the warehouse for inventory, and as the online outfit grew, it gradually used more space there. 2. Make big changes, but stick to core strengths. Substantial changes are often needed in this fast-moving society; yet sometimes family businesses go overboard in adopting new trends. Recognize the difference between a flash-in-the-pan trend and the overall direction the industry and customers are heading. See if it's possible to retool the family business without changing its basic DNA. During the pivoting process, write a list of what the company does best and what distinguishes it from the competition. Keep this in mind and retain as much on the list as possible as the company moves forward. Just because a company is embracing new technology doesn’t mean all the old business practices must be abandoned. Walmart branched out into the ecommerce space to stay competitive with sites like Amazon. It didn’t make sense for me to switch locations when I grew the new ecommerce company even though it had a different business model than the old family business. Housh Inc. remains in Monroe, between Cincinnati and Dayton, along the rapidly growing Interstate 75 corridor. Its central location, ideal for shipping all over the country, makes sense for a burgeoning ecommerce business and it has a relatively low cost of living and modest taxes. 3. Convince employees that change is necessary. Sometimes the hardest part in making a big change is getting everyone onboard. In a family business, many employees may have worked under a previous leadership or might even share DNA. It can be hard to convince people with an emotional stake in a company of the need for change. Clear communication is key. Be very honest about the company's outlook, the state of the industry and why a transition is happening. Solicit feedback and advice, but be firm about why the company needs to adapt. When employees feel heard, they feel valued and can take ownership of the final plan. In the early days of my ecommerce operation, I spent evenings and weekends packing and shipping packages, typing and printing shipping labels, ordering inventory, and figuring out how to build a website, do search engine optimization and pay-per-click advertising. Most employees thought I was crazy; the ecommerce operation was also somewhat competitive with the core local business. I was offering air filters via the web at lower prices than the contracting business had done within its cost and overhead structure. Then in 2008 and 2009 the recession hit and the HVAC industry suffered severely. The traditional contracting business dried up overnight. If it weren't for the ecommerce business, the family company might not have survived through the recession. The ecommerce operation grew, with daily shipments increasing from 5 to 15, then 50 to 250 and beyond. The sheet metal shop was closed to allow for more ecommerce inventory and the online business kept many people employed during lean times. Pivoting an enterprise and embracing new technology and fresh business models won’t always be popular, but sometimes resolute change is needed.